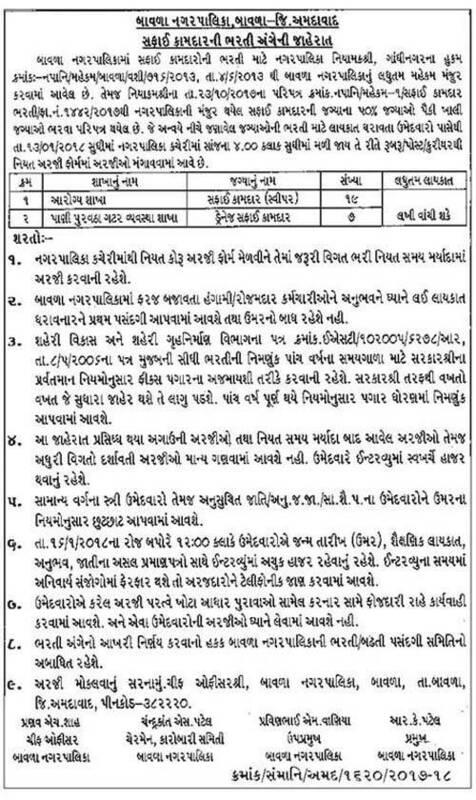 Bavla Nagarpalika, Bavla, District Ahmedabad Published Recruitment Advertisement for Safai Kamdar (Sweeper) and Drainage Safai Kamdar Posts. View More Details About This Recruitment Including Total Posts, Posts Name, Qualification, Age Limit, Salary, How to Apply etc., are Given Below. 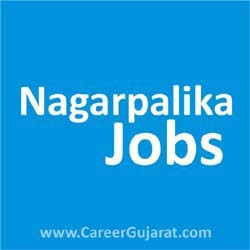 Address : Chief Officer Shri, Bavla Nagarpalika, Bavla, Ta. Bavla, Dist. Ahmedabad - 382220.